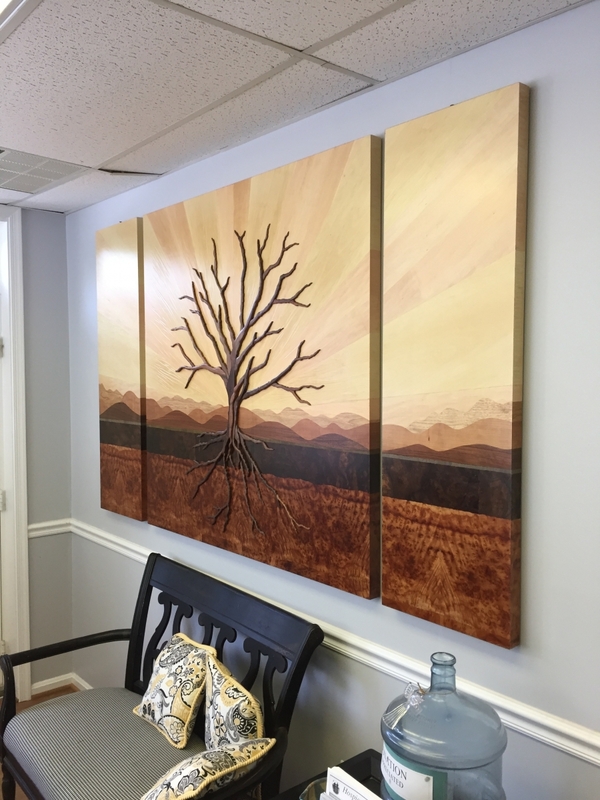 The display consists of 3 large panels decorated with hand-cut marquetry to portray the local Blue Ridge Mountains skyline. A variety of woods 'paint' the horizon's picture, and then extend underground through deeper soil depths. 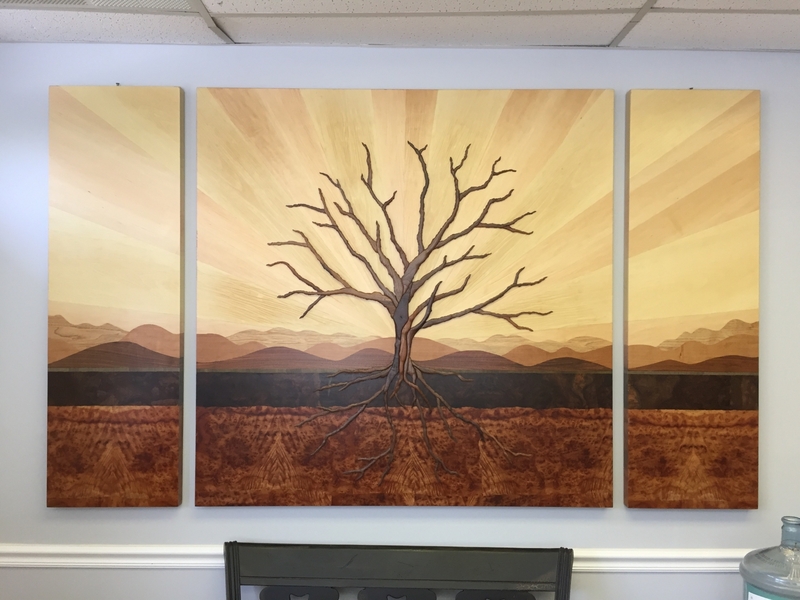 A Tree of Life is applied to the surface using the intarsia method. Interlocking walnut pieces were shaped by hand and adhered to the surface to form the tree and its roots. The large center panel measures 52" square, and is flanked by matching side panels. 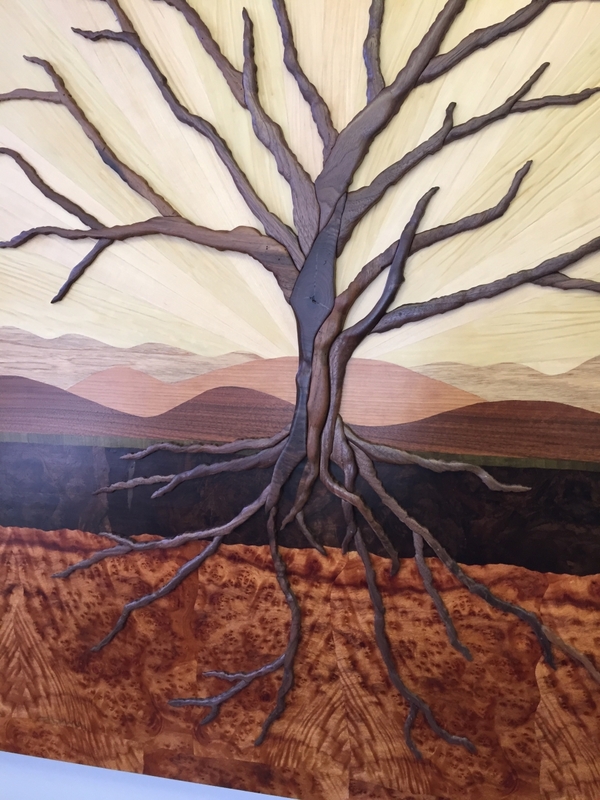 Hospice Support will add metal leaves to the tree with engraved names of the people honored. The finish process began by sealing the wood, followed by multiple coats of Arm-R-Seal. A hand-buffed wax coat completed the finish. It was a privilege to be part of such a meaningful project.